Do you often catch yourself dreaming about having a smile that’s straighter, whiter, and much more confident? Do you regularly lurk in the backgrounds of photos or hold your hand over your mouth while laughing with friends because you don’t want them to see any flaws? At 21st Century Dental, our dentists would love to help you enhance your smile with the transformative power of cosmetic dentistry! Cracks, chips, stains, gaps between teeth, misaligned teeth, misshapen teeth, and other frustrating flaws can be overcome with our assistance. Contact our Las Colinas, TX practice today by scheduling a first consultation. Why Choose 21st Century Dental for Cosmetic Dentistry? Cosmetic dentistry is any dental service that is primarily designed to improve the outer appearance of a person’s smile. 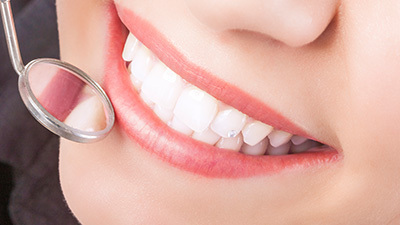 There are a wide variety of treatment options and stunning effects that a patient can achieve from cosmetic dentistry, from small cases of color correction in the tooth enamel to the attractive, reliable replacement of lost teeth. At 21 st Century Dental, we always strive to provide aesthetic care that also complements the patient’s oral health and overall wellbeing. While some patients have specific cosmetic flaws in mind that they want to correct, others feel overwhelmed by their checklist. 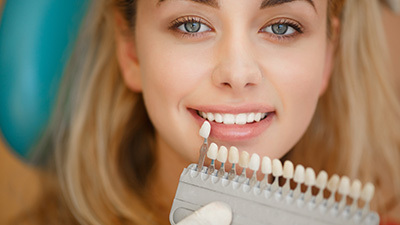 Do you wish you could just give your smile a big, comprehensive makeover all at once? Porcelain veneers help make this goal a reality here in Las Colinas. These wafer-thin, high-quality restorations are designed to fit over the front surfaces of teeth, hiding years and years of imperfections from view behind a stunning, durable replacement. 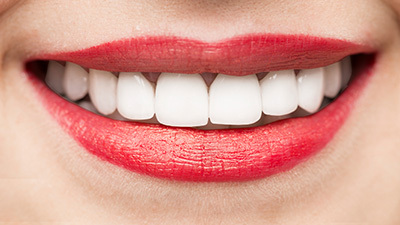 If you’re unhappy with the current color of your teeth, join the club – a recent study revealed that a whopping 80% of Americans between the ages of 18-49 want a whiter smile. Our dental team makes this cosmetic process a quick and easy one, brightening natural enamel by several shades at once. We use QuickPro by Phillips, which can get rid of superficial staining in a flash. Take-home kits from NiteWhite are also available for gorgeous touch-ups whenever your schedule allows. Are you interested in creating big changes for your smile? Do you want to take a new look on a “trial run” before committing to a more in-depth cosmetic treatment plan like porcelain veneers? Talk to our dental team about getting your very own Snap On Smile. All we need to do is take impressions and decide on the perfect shade and design – then, you’ll have a brand-new “smile” that can be easily snapped into place over your current one. At 21st Century Dental, straightening your teeth couldn’t be simpler. Our dentists have several orthodontic options available that can correct misaligned teeth, noticeable crookedness, gaps, and other irritating imperfections. Better yet, you won’t have to worry about being stuck with metal brackets and wires that leave you feeling like you’re back in middle school. Our services are nicely subtle and aesthetically pleasing so that you can maintain your best appearance throughout the treatment process. Dental implants are a state-of-the-art solution to tooth loss that offers a wide variety of exceptional benefits, including cosmetic value. Our practice restores implants with tooth-colored crowns, bridges, or dentures that are specifically designed to be as lifelike as possible. Better yet, because of the support provided by the new tooth “root” (the implant itself), your replacement will feel and function like the genuine article. This service is a great way to regain your confidence and enthusiasm after grappling with an incomplete smile! 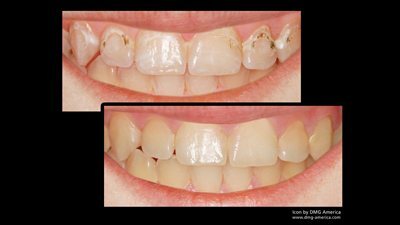 If you’re experiencing a chipped tooth, small gap between teeth, or some other frustrating dental flaw that always draws your attention in the mirror, cosmetic bonding is a quick and effective way to correct the flaw. One of our dentists will apply composite resin (carefully shaded to be a match with your natural enamel) and sculpt it into a pleasing shape that blends right in with the tooth while also covering the requested area. In most cases, this process only takes one appointment of your time. Do you have a tooth that’s injured, misshapen, strangely sized, or that just generally sticks out like a sore thumb when compared to the rest of your smile? 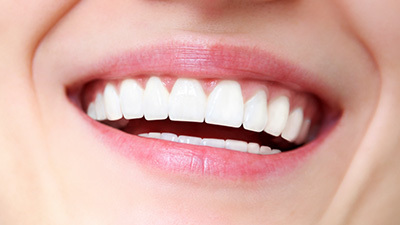 Recontouring may be the best option available for helping your pearly whites enjoy a stronger sense of overall harmony. We’ll carefully reshape the tooth and polish the overall structure – this process can even be thought of as a dental manicure! 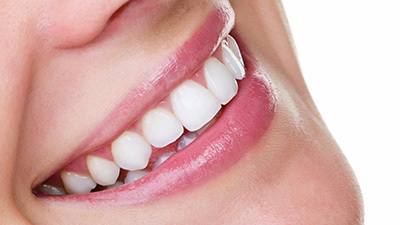 If you have a natural, otherwise healthy tooth with a defective portion, a bonded porcelain restoration (also known simply as BPR) can revitalize the natural structure while still maintaining the tooth’s aesthetic quality. Any tooth reduction will be kept to an absolute minimum, and the biocompatible nature of the restoration is very comfortable as well. 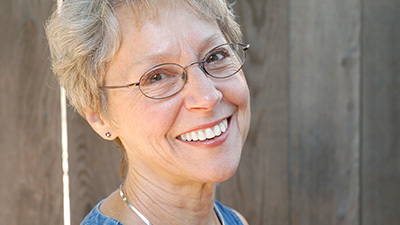 Sometimes, your teeth aren’t to blame for an underwhelming smile – the gum tissue may be causing an uneven or “stubby” look. During aesthetic gum recontouring, our dentists will precisely sculpt and shape the natural gum line, removing any excess tissue and revealing beautiful dental structure that’s been previously hidden. In addition to aesthetics, this service may also be recommended for restorative reasons – for instance, if a tooth in need of a new dental crown is covered by too much gum tissue to complete the procedure properly. 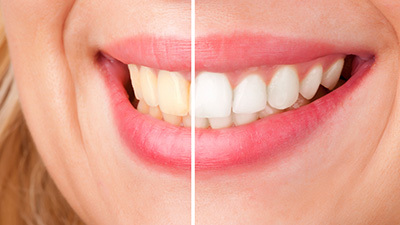 Many patients notice white or brown spots on their teeth, especially after orthodontic treatment. In the past, the only way to get rid of the unsightly appearance would be to drill into the tooth to place a filling or even place a veneer. Using the revolutionary Icon system our office is able to remove certain white and brown spots on the teeth in just 1 visit. Total time typically takes less than 30 minutes! 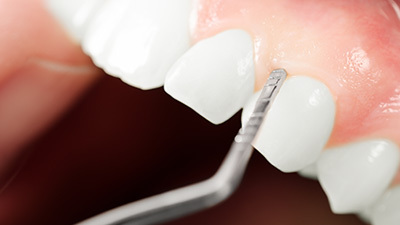 Not just minimally invasive dentistry, it is micro invasive! Whether your teeth have chips, stain, gaps, or misalignment, our dentists can help you get a smile you’ll be proud to show off. But you may still have questions about the cosmetic dental procedures we offer. 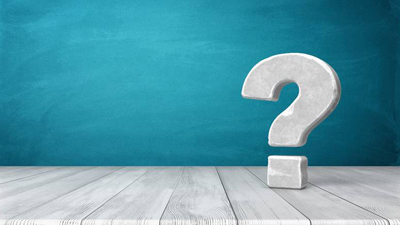 We want you to feel confident in your decision to have cosmetic work done with us, so for your convenience, we have prepared answers to some common questions from our patients.